MERRIMACK, N.H. - Feb. 10, 2015 - PRLog -- A chance encounter spawns an unprecedented evil – a dangerous mutant vampire whose existence will have dire consequences for a team of monster hunters. The film will be the first in a series of short science fiction/horror movies and books. The series follows members of a law enforcement organization known as The Program as they set out to stem an increasing tide of supernatural monsters. Featured in the film are three local actresses: Sophia Cacciola and Leah Principe of Boston, and Miranda Evans of New Hampshire. The completed film will be sold online. 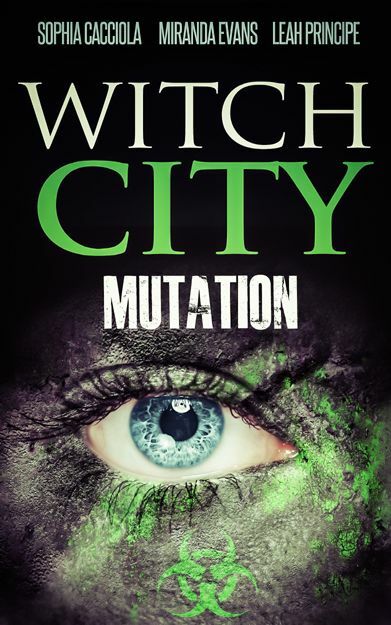 To fund Witch City: Mutation, Morgan is running a crowdfunding campaign through TeeChip.Com, which provides print-on-demand t-shirts, hoodies and coffee mugs. “This is new for me,” Morgan says, “I’ve had good results with a print-on-demand book, so apparel seems to be the next logical step.” Unlike a typical all-or-nothing crowdfunding campaign, TeeChip will print and deliver any products ordered, even if only one is sold. The products in the campaign range from $14 for the coffee mug to $30 for a hoodie. “This is custom, full-color artwork you can’t get anywhere else,” says Morgan. The campaign will run until March 6, 2015. Morgan is an independent author and filmmaker from New Hampshire. His zombie thriller The Trip is available from Amazon.com. His latest film, My DreamGirl Was A Vampire, is available on YouTube. Links to both the Amazon site and Morgan’s YouTube channel are available on his web site, www.timmorgan.us. By day Tim Morgan is a mild-mannered web developer. Nights and weekends he spends his time writing novels, screenplays, and directing short films. Morgan’s scripts have placed in several national screenwriting competitions, including Shriekfest, 20/20, and the Writer’s Digest Annual Writing Competition screenplay division.